Dolomite lime is used everywhere. A search through both conventional and organic gardening websites reveals that most garden experts happily pass on this information. Dolomitic lime is an attractive rock. It’s calcium magnesium carbonate. It has about 50% calcium carbonate and 40% magnesium carbonate, giving approximately 22% calcium and at least 11% magnesium. When you buy garden lime, it has been ground into granules that can be coarse or very fine, or it could be turned into a prill. Dolomite lime fertilizer is certainly allowed in organic gardening. It is not inherently bad, but how it is used in the garden is often detrimental. Why Are We Told To Use Garden Lime? I touched on this before when I talked about pH. The belief is that minerals in your soil are continuously being leached by rain and consequently your soil is always moving towards more acidic. Dolomite limestone is used to counteract this, to “sweeten” the soil. It can do that, but that doesn’t mean it’s good. Minerals may or may not be leaching from your soil. If they are, it could be partially because of rain, but there are other reasons, too. If your soil is low in organic matter, which is often the case, it probably can’t hold onto minerals very well, especially if it is low in clay and high in sand and silt. If you have lots of clay, you probably don’t have much to worry about. Whatever the cause, dolomite lime fertilizer is not the answer. Let’s look at why garden lime is probably not what you want. The main point I want to make is that even if minerals are leaching from your soil, it doesn’t make sense to blindly go back adding just two of them (the calcium and magnesium in dolomitic lime) without knowing you need them. You might already have too much of one of them. We need to think a little more than that when organic gardening. Many biological and organic soil consultants would say your soil needs a calcium to magnesium ratio of somewhere between 7:1 (sandier soils) and 10:1 (clayier soils). Outside of this range, your soil will often have drainage problems, your plants will often have health problems and insect and disease problems, and you will have weed problems. One of your most important goals in the garden is to add specific mineral fertilizers to move the calcium to magnesium ratio towards this range. Of course not everyone agrees that this is the ratio to go for, but it’s what has worked for me and most of my mentors. The problem with dolomite lime? It has a calcium to magnesium ratio of 2:1. That’s way too much magnesium for most soils. Magnesium is certainly an essential mineral. Too much of it, however, causes many problems, compaction being one of the most common, but also pest and weed problems. So if you add dolomitic lime to your lawn every year, chances are you’re just causing more compaction and weed problems. When Should You Use Dolomitic Lime? You should only use garden lime when you have a soil test showing a huge deficiency of magnesium in your soil. Even then, calcium carbonate (calcitic lime) is generally the way to go because it has a small amount of magnesium and often a calcium to magnesium ratio of about 6:1, with a calcium content of 30% to 40% or more. Instead of dolomitic lime, I use calcium carbonate regularly in my garden, but even then, only when I need it. A soil test is a main way to find out if you need it and I talk about soil nutrient testing often on my website. Adding fertilizers based on the results of soil pH kits just doesn’t make any sense (that’s a good article that will show you why). If you have any thoughts on dolomite lime, I’d love to hear them below. I had no idea dolomite could be so harmful. And thanks so much for the info on “calcitic lime”. I was wondering if using this lime and putting under our pine tree is dangerous if inhaled I have not seen anything to tell me that it is safe to use, that should you inhale it is okay, I need to know asap because I have a pine that is dying and I purchased this to help my tree. You don’t want to inhale any powder, so a mask or scarf and a calm day is a good idea. My eng box woods , many but not all, have a hint of orange. Why??? Is there a solution? It could be winter damage, but boxwoods do get several diseases, often ones that live in the soil. Sometimes those diseases are drought-related, but more often in my experience, it’s too wet, whether you have clay soil or just a lot of water in the soil. Whatever it is, you’ll need to fix the root cause of the problem. Topdressing with high-quality compost could help control the diseases in the soil, too. I will definitely look for calcitic lime instead of dolomite. Glad I didn’t buy that big bag last week. I’m wondering if liming my clay-based soil is necessary. According to my soil tests, I’ve got a soil pH of 5.2, a Cation Exchange Capacity (CEC) of 3.8, an exchangeable acidity of 1.4%, a base saturation of 63% and Ca and Mg rates of 45% and 13%, respectively, measured as percentages of the total CEC. The test goes on to suggest I apply well over a ton of lime per acre.I haven’t done anything on the land yet, but will be starting a small no-till operation in the spring. Therefore, I’m very much looking to what I can do to the soil to give it the best possible start, as later amendments will be difficult.But in your opinion, is liming necessary? Is there anything else on the soil test suggestive of this? I notice that the Ca/Mg ratio of 3/1 looks mildly troubling.Thank you! Hi Ryan,Thanks for the comment. Ya, you definitely need to spread that Ca:Mg ratiotowards 10:1 or you will definitely run into problems. You don’t need anymore magnesium, so it’s got to be calcitic lime. How’s your sulfur? I wouldsay a 2/3 ton of calcitic and 1/3 ton of gypsum. I don’t tend to addmultiple tons of lime at one time, but you can do it early this spring andagain next fall. And you’ll probably want some liquid calcium mixed withbiostimulants to get that calcium working.I’m a bit confused about how your CEC can be so low in a clay-based soil, socan’t comment on that. You need to get the biology working, too. Get organicmatter in there and microbes, via compost and inoculants. Your biology isn’tworking at such a narrow Ca:Mg ratio.Can’t give you much more detail here, but hope that helps. When I was apprenticing, I learned a saying for farmers: “Lots of lime on the ground makes for rich fathers and poor sons” The reason for this is that in time, the soil becomes impoverished due to the repeated application of lime over decades. So if a son inherits his father’s farm, he wil have a hard time making money there. I use lime only after a soil test if the specific crop requires a higher pH. I also use it where my dogs run outside because it helps the grass stand up to and recover from the urine burns. Also consider using gypsum. It states on the package that it helps repair the damage you mention. Zinc has been used for a long time. In the 1800’s surgeons used zinc as an antiseptic/antibiotic after surgical procedure. Before drugs, lots of people turned to herbs and minerals. Zinc was noted for its brilliant healing properties. Wounds would heal, sometimes, as quickly as 24 hours after an operation, without swelling, and scarring was barely noticeable after a short timeframe. Isn’t dolomite a natural ingredient of the earth, that is where it is derived from? or is it man made? Hi David, you bet. It’s just a rock. It’s not harmful to touch or anything like that. It’s just that it has a lot of magnesium, and too much magnesium causes severe problems in the soil. Hi, i’m amending my soil in a bed for lavender. I was recommended to use dolomite lime 2-4 tsps per plant. Will this cause the same nightmares im reading about in your comments? Or is this safe at this scale? That’s safe at that scale, Christina. And perhaps lavender has a particular need for calcium and magnesium, but I’m not sure about that. What do you recommend for dealing with dog urine on the lawn. I’m thinking both for ‘burned’ sections, and possibly some form of calcium on healthy lawn that would react to urine before the lawn is affected. Thank you. try a little vinegar in your dogs water, it balances the acidic level in urine, not killing the grass. Calcium may be slightly helpful, but the main 3 things I do are: water to dilute and disperse the urea in the urine, molasses or sugar as a source of carbon to offset the nitrogen, and EM, compost or another source of microbes to help break down the urea. Depending on your type of grasses, you may want to reseed the bare patches after the above 3 steps are done. Just about to plant some cabbage and kohlrabi this afternoon. I do have high levels of Mg in my soil and due to advice and practice from the previous farmer (who is still playing a small role in the farming here) we have been spreading a tone of calcitic lime on alternating halves of the field every year at about one tone per 1.3 acres.I’ve also been advised that adding this lime is especially important for brassica so I’m going to apply a cup of the same calcitic lime per plant along with organic matter (composed manure) and seaweed.Any thoughts? Sounds good. It’s good that you’re adding organic matter which will actuallyhold some of the calcium up in the root zone. I tend to add all of thesethings at least a couple of weeks before planting/seeding. I’m not sure ifit would cause problems doing them at the same time as planting. It ispossible to add too much calcium, and a cup is a lot. Yes, a cup is a lot. I found that once applying I only used about 1/4 to 1/2 a cup at most.Depending on logistics I plant right after adding organic matter or a few days later. I’ve not given much thought to this. I’ll make an effort to record this data and see if I notice a difference. We were just getting ready to add Dolomite Lime to The Tucson Bucket Garden, glad to find this post. Are we going to do damage, all the squashes are getting early root rot. ??? I wouldn’t add it without a soil test. It’s possible that you need bothmagnesium and calcium, but odds are you don’t, especially in the ratio thatdolomite brings. Sounds like you should instead focus on establishing ahealthier soil food web. Inoculating the garden with mycorrhizal fungi andgood compost might help with root rot. Liquid calcium is very beneficial for our health. Ya, applying dolomite lime will probably just make things worse. It may raise the pH temporarily, but raising the pH is not as important as avoiding the raising of the magnesium. You need to find calcitic lime (aka calcium carbonate, high-cal lime, marking lime). It should be available somewhere, probably at a farm supply store. Or instead you could try to find a liquid calcium source online (sorry, I don’t currently know of where to get a good source in the U.S. – just don’t get calcium chloride) and see how that works. Thanks for your comment. There is research showing the Ca:Mg ratio doesn’t matter, and research showing it does, just like there is research showing pesticides don’t cause cancer, and of course research showing they do. There is research to prove nearly every hypothesis on a subject. I have exhaustively looked into the soil ratio research and tested it myself over the years, to the point where I know it is important to get the right ratio in many soil environments. But it’s a hard thing to believe until you see it for yourself, and it’s definitely not the only factor, and we certainly still have a lot to learn about soil.As for the findings being “supported by most authorities,” most authorities still promote heavy pesticide use, heavy chemical fertilizer use, and many now support GMOs. In my view, the system has been corrupted for at least 60 years, probably much longer. Too much to get into in a comment box, though, so I guess I’ll stop there. Thanks again for your comment. What organization is funding Dr. Barber’s research? I often find that if you follow the money, the results of these types of studies mirror the results desired by the funders, sadly. Exactly, Dr. Barber is from Purdue University, which is hugely funded by the USDA and many other government organizations that are entangled with the big agri, big chem, big pharma, etc. industries. I imagine the university is funded directly by these industries, too. Always follow the money. The research suggesting that the Ca:Mg ratio might be significant began in 1901 and is pretty old science. Since then there have been new developments and consequently a better understanding of the fate of soil nutrients. This work has proved the experimental design of these older trials were flawed and that there is a much wider range of Ca:Mg ratios that are acceptable. These “authorities” who collectively have 1000’s of years experience in research regarding soil science are providing the best explanation of this incredibly complex ecosystem that we have yet. I’m not saying all old research is flawed but we did once think the world was flat. I’m not sure why gardners get so emotional about Ca:Mg ratios. After doing nutrient management plans I have found that using the base saturation concept to try to balance soil ratios actually costs much more than going with a sufficiency approach. I suppose that makes the corporations happy that are selling the soil amendments that are needed to try to get the “right ratio”. I don’t think there is much harm in trying to balance these ratios but you will unnecessarily spend more on soil amendments. Yes, I agree the system has been corrupted. The laws of economics put an incredible amount of pressure on our farmers and they do become trapped in a system where they feel they need to use available technologies to guarantee a crop and mitigate risk. I’m not sure what all of that has to do with Ca:Mg ratios but I would be very interested in seeing your research on the topic. Agreed that the original research is old, but organic and biological soil consultants are still following its path and expanding upon it today with success. I know what they’re learning is considered anecdotal as opposed to scientific, but it’s happening on real world farms across the world and it’s working well. But you may be right that it’s not the perfect approach – I just know that it’s worked for me and for my mentors (not just to improve the soil, but to boost profits). According to Dr. Stanley Barber, Purdue Univ., “There is no research justification for the added expense of obtaining a definite Ca:Mg ratio in the soilResearch indicates that plant yield or quality is not appreciably affected over a wide range of Ca:Mg ratios in the soil.”Wisconsin research found that yields of corn and alfalfa were not significantly affected by Ca:Mg ratios ranging from 2.28:1 to 8.44:1in all cases, when neither nutrient was deficient, the crops internal Ca:Mg ratio was maintained within a relatively narrow range consistent with the needs of the plant. These findings are supported by most other authorities. A soil with the previously listed ratios would most likely be fertile. However, this does not mean that a fertile soil requires these specific values (or any other). Adequate crop nutrition is dependent on many factors other than a specific ratio of nutrients. It will rarely be profitable to spend significant amounts of fertilizer dollars to achieve a specific soil nutrient ratio. I get into a lot of detail on this in the Academy, but the bottom line is that I send a soil sample to Crop Services International. So simply use Dolomite instead of lime if there is a magnesium deficiency? or ? If you have a pretty major calcium and magnesium deficiency, dolomite might be in order, but nowadays, I still mostly use calcitic lime, because it has a near perfect calcium to magnesium ratio. I’ve read that a little dolitic lime in seed starting soil is good for the seedlings as they appear. Was thinking of trying it this year. Your thoughts? Also – where do you even BUY dolomitic lime? I wouldn’t put down dolomite for seed starting. Perhaps a tiny bit of calcitic lime. You buy these things at farm supply stores or garden centers that have a big fertilizer section. Does calictic lime have the same pH buffering qualities that dolomite lime has? I am next to a lake that flows into a salt water bay. My well watter is some what high on Salt and I was told that dolomite would help allowing my plants, specilly the ones needing acid solil, to absorb better the nutrients. whatis your recommendations? If your soil is high in salt, gypsum is usually better to help bring it down. Most important would probably be to collect as much rainwater as you can in a cistern and save it for irrigation, plus mulch well in order to conserve water, so you can irrigate less. Hi – I am a new reader of your site. I have almost completed rehabbing an old historical stone house quite large for 1 person, and only 29 years old at that. My savings are almost tapped, but I work at Wall Street as an Actuary. ‘am not complaining about my wages, and have some funding from the Historical Trust and the Federal Grants for restoring a Historical Home.My home sits almost at the center of a 25 acre lot.There is also a carriage house, and a huge [ and i mean huge ] barn and along the periphery – a lake which unfortunately overflowed by storm Irene. I have not really done much with the entire surroundings, except for clearing most of the dead trees and cleared some of the shrubs – thanks to the University of Penn Arboretum Dept. And it cost me an arm and a leg. My Dad is a civil-mechanical-civil Engineer and an architect. He tells me both the carriage house and the barn are solid. I want to complete the landscaping of the entire 25 acre with little help from Mom and Dad. Where do I start ?The area is untouched – I want to keep the trees, scenery and the natural landscape – does the entire landscape’ soil has to be rebuild ? I travel back and forth to China – I do not have that kind of time oversee the project. Wow, big project. I would pay a permaculture designer to come in and walk the property and give you advice. You don’t necessarily have to amend the whole soil – it’s probably best to let a lot of it go wild, at least for now, to allow natural plants to come in and work on the soil. On 25 acres, I would definitely go for more of a natural look than a manicured look. I have a lilac bush that is not blloming if I use dolomite will I get blooms? No, dolomite probably won’t get blooms, unless low magnesium and calcium happen to be the limiting factors in the garden. Lack of blooms means lack of energy and nutrition, which can be for any number of reasons. Improving the soil organic matter content, microbial diversity and nutrient balance (along with proper watering and other basics) should help. I was researching how to change Hydrangeas to a deeper pink. Dolomitic lime is suggested. This won’t hurt the grass around it will it??? Hi Karen, I absolutely understand you wanting to change your hydrangea color, but just to be honest, from my point of view, it’s not a great goal.Your hydrangeas will find the color they want to be. Adding fertilizers multiple times a year forever in order to change that is not a fun or sustainable goal, and isn’t great for the soil.Adding a small amount of dolomite right around the based of the hydrangeas will not significantly hurt the surrounding grass, but over time, it may compact the soil around the hydrangea and invite plant predators to come in and dine. We have a large family garden with all kinds of vegetables in it. we used slow release dolomite this winter with fresh cow manure. most of the plants are doing well. The new leaves on the zucchini and cucumbers are beginning to yellow. Is this a problem with the dolomite? I read in a garden book this could be because of too much magnesium. What do you think and how would you try and fix this? Hi Kelly, it’s quite difficult to diagnose these kinds of issues down to one specific nutrient, but yes, it certainly could be excess magnesium interfering with nitrogen. Although I’ve been decreasing my use of fish products because of sustainability issues, an organic liquid fish fertilizer sprayed on the leaves might help them get the nitrogen they need.In the long run, the soil needs to be tested and balanced, which is a big topic that I cover in month 2 of the Academy. In March I added about 50lbs of dolomitic lime to my 410 square foot vegtable garden to correct the ph,, thinking lime was lime. The garden has mostly hot peppers. Most were started by seed and were looking good. I put them in the garden and they imeaditly died. Even the peppers I bought from a green house. The garlic, potatos, carrots look ok so far, do you think the mg might have killed them? Is there any way to undo what I may have done? Any help would be great. Hi Linda, no, I wouldn’t. Physiological diseases in plants are generally more complicated than just adding one or two minerals. It’s difficult to know if adding dolomite will be helpful or harmful in this case.I would instead focus on a broad spectrum fertilizer such as sea minerals or kelp, and definitely some good compost, and some effective microorganisms. These all help to improve the health of the soil and plant from a more holistic perspective.If you want to balance your soil nutrients, do a soil test first through a good organic lab. Then you know what you need. Your information is lacking facts. Why would you tell people liming their soil is bad without giving more information? It is not as clear cut as you make it out to be. The net effect of your article is “don’t use dolomite lime, it is bad”.You do not even address the K:Ca:Mg ratio that many plants want. That is an important factor considering how important Ca is to plants, and the synergistic effect the three elements have to one another.Nor do you address that organic elements, especially those coming from rocks, but in general many, can and do have components that are undesirable for your health, such as flouride and even Polonium-210. It is fascinating, when you actually are open to both sides of the equation, that water soluble fertilizers, typically being highly refined (impurities being removed), can actually contain less undesired components than organics do.I can appreciate your desire to inform people of common errors, of which over liming is one, but you make it sound so clear cut. The reality is that different soil conditions may not have as much weight as the crop/plant you are going to put in that soil. I guess it depends if you want healthy soil or healthy plants. It’s been recommended to me to use dolomite lime to help get rid of Horsetails. Do you have any other suggestions? I’m not sure why dolomite would help get rid of horsetail, unless you know you need calcium and magnesium and then indeed it would play a role in improving the fertility balance of your soil, which would gradually make it easier to keep the horsetail at bay.But it is a difficult plant to get rid of. It usually indicates poor drainage, although it’s also sometimes brought in with purchased topsoil. It’s highly prized by biodynamic farmers and it’s quite a medicinal plant.In terms of suggestions, it’s too complex to get into here. Improve drainage, fertility balance, the soil food web, and pull pull pull for years to come. You can eventually get it under control if the area isn’t too big. I live in the very lush and rainy willamette valley in Oregon. Every year until recently my tomaoto harvest has been poor and frustrating. When I planted my starts last year, I threw in a very small (quarter cup) helping of dolomite lime in each hole before planting. The crop was incredible. The tomatoes were large, juicy, and perfect. Before this crop, I was afraid that I did not have the green thumb. Researching and understanding nutrient levels in soil definitely helped. I was not aware of the high magnesium levels in dolomite lime, but I can honestly say that I will continue to use it with my tomatoes and peppers. I had more than I knew what to do with! I only used organic starts and organic fish fertilizer. That’s excellent! Your soil must have needed magnesium and calcium. Just remember that success with adding it once doesn’t mean you need to add it every year. My advice would be to keep using the small amounts you’re using, and if you start to run into problems of tight soil and sick tomatoes, back off on the lime. Great points you have shared in this post.Its really important. Thanks for sharing this post with us.I am surfing for something like this.Keep it up in future too. Hello, I’m planting 1 year old apple trees into soil that I know is very low in PH, unfortunately I wasn’t able to treat the soil beforehand. Do you have any recommendations as far as applying lime at planting or maybe not at all right now? You’ll want to test the soil so you know what kind of lime to add or find out if you even need lime or maybe there is something else more appropriate. But in terms of the actual fertilizing, you can do it after you plant. Just lightly work it into the soil and you’re good. Hello, I’ve got the planter from Home Depot (the self watering one) and instruction says to use Potting MIx (not Potting Soil), Dolomite and Fertilizer (what do you use for organic version?). I was wondering if it’s only because it meant to be for growing seeds or you still need to use it for the plant ready plants? I just wanted to dump there potting soil and grow my garden! If you need soil for your garden, I recommend compost instead – it’s full of nutrients. The reason they’re suggesting dolomite and fertilizer for their potting mix is because their potting mix is deficient in calcium and magnesium. As for a good fertilizer, kelp fertilizer is pretty easy to find. I use Earthboxes to grow veggies. Their system uses a potting mix for a growing medium, and they instruct to add dolomite for “seeded” vegetables, as they need a lot of calcium. Also the peat is very acidic and the pH needs to be raised. Does this seem correct? Most all plants need a lot of calcium. Calcitic lime is better than dolomite for that. The peat may or may not be acidic depending on what kind of peat it is. Basically, it sounds like they’re supplying nutritionally deficient potting mix and telling you to fix it by adding back just 2 nutrients (calcium and magnesium). It’s a good start for sure, but it’s not really balanced nutrition. I’d also suggest bringing in a broad spectrum supplement like rock dust or kelp or sea minerals to provide more nutrition than just the lime. The lime is probably not a bad idea either. I have a paddock for my horses that is pH 5.2. The number of buttercups is increasing these can be toxic for horses if forced to eat them through lack of grass(not at that stage yet but want them gone!!) and I understand that they don’t like lime. Question is if I add lime to my paddock will it tie up other minerals that the horses’ need. They were deficient in Selenium (by blood tests) as was the soil. I supplemented them with a proprietary product which contains selenium and vitamin E as an antioxidant and a spectrum of minerals. On second blood test the horses were too high in zinc which was tying up the copper…which they were slightly low in first time around. I have reduced the supplement to reduce the zinc and thus not tie up the copper…also giving the horses a herbal copper blend and will blood test again in the autumn.Any advice to get rid of the buttercups without harming the other grasses and plants would be appreciated….as would advice on improving the pH. Increasing pH will be a byproduct of balancing out soil fertility, but the pH number should not be managed directly. It sounds like you’re spending the money to get blood testing and supplements, which means you’re hopefully willing to spend the money to get a proper soil test from a good organic soil lab like Crop Services International.They will tell you exactly which nutrients you need to balance out your soil so that it favors grasses over weeds, balances the pH, and gives your plants and horses more nutrition in general. But yes, lime is probably called for – not dolomite lime, you just want calcitic lime for the calcium. And then there will be other issues the soil lab will tell you about. How much dolomite lime and potassium should I use on two lavender plants? I am growing the plats in a large pot( will I hope they will grow). 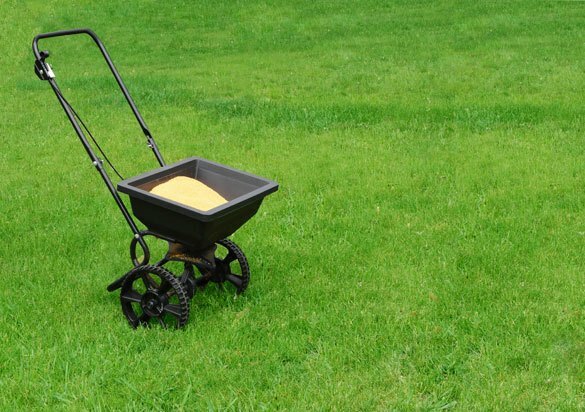 None – the point of the article is that you shouldn’t go using these kinds of fertilizers unless you know for a fact that you soil (or potting mix) is deficient. I have been growing veggies in earth boxes. The directions always say to add one pound of dolamitic lime to the top 3-4 inches of soil and work it in before re-planting….. I am just getting the boxes ready for the fall/winter planting and found clumps of clay through out the soil in my box. Did the lime cause this? I’ve never had it happen before and have been using the boxes of several years. I was thinking I needed to add more lime until reading this. Now I wonder if I was using too much? I use a very good potting mix in my boxes…. Hard to say for sure, isn’t it? I’d recommend switching to calcitic lime though, or a more broad spectrum rock dust of some kind. What do you think about using dolomite lime in soil mix for cannabis? Dolomite probably makes more sense in potting mixes, although I still tend to go for calcitic lime. Leaves won’t make the soil acidic – that’s a common myth. I like your plan of cardboard/straw/leaves. A nitrogen source would be helpful, which is your blood meal/kelp/fish meal/non-gmo alfalfa meal/manure, etc. Sure, you might put 1/2 pound of calcitic lime per 100 square feet while you’re making the beds. I would wait at least a year for everything to break down before you do a soil test. I have a 100 sq ft vegetable garden. amended with 30-40% green compost 2 years ago, and other recommended amendments from soil test 2 yrs ago. I just got another soil test back from UMass listing a 5.2 pH, and high calcium and magnesium (2900 and 320 ppm respectively). CEC is 26.9 meq/100g; exchange acidity 7.5 meq/100g; calcium base saturation = 53%, magnesium base saturation of 10%. Their recommendation for a target pH of 6.5 is to add 12.5 lbs / 100 sqft of limestone. I’ve had bumper crops the past couple years and want to keep them coming. The main reccomendation was to increase the pH by adding lime, I know from you not to use dolomite lime, but it seems I don’t want to add calcium either because that is high too. So, my question is, how can I increase pH without adding a significant amount of calcium or magnesium? That calcium base saturation is low, so I would add calcitic lime (aka calcium carbonate), not dolomite. I look at the base saturation percentages more than the absolute numbers. And I wouldn’t add that much at once – I stick to max 5lbs per 100 square feet each year. Better to spread it out over the next 3 years than add it all at once in my view, but that is contested even in the biological/organic community. I just scrubbed the moss off my terrace with acid. Too late I realized that I would have to wash it down and that was straight through my garden. I just washed it over and over to try and dilute the acid. Someone suggested I use dolomite (lime), dig it into the soil and water it. Is this not going to do the garden more harm than good?Any suggestions…. The terrace looks great but I fear for my garden. Definitely the acid isn’t great for the garden, but it’s hard to know if it will cause big problems. I wouldn’t bother with the lime though. get a soil test, you’ll become a better gardener overnight. Hello Phil, just found a dolomitic limestone & wanted to know its properties, and..found your site. Thank you !But also have 3 questions, please. 1) Why my Wisteria of 9years doesn’t bloom. 2) Neither does my Silver Lace. 3)Nor does my Rhododendrons ! I have a big, healthy & beautiful garden, other that these 3 !!! Thanking you in advance. There can be many reasons for lack of blooming, the most common being not enough sun, improper moisture, frost damage, too much fertilizer, too much or improper pruning, animal damage. Those are the main ones that come to mind. I plan to have a straw bale garden and I have a recipe of minerals to treat the bales with before planting seeds. I am having trouble finding dolomite meal in powder form. I have cut down a 50 ft. blue spruce in 2013 and I have a hard time to get the grass to grow. I have fertilize it and last year added dolomite to the area. The grass is still very sparse and does not want to grow. What should I do other than make a flower garden where the tree was. The space I’m talking about is about 10×10. Hi, just been searching online for dolomite, i have an olive tree that doesnt hold its flowers and falls off before it fruits…so i cant enjoy any olives from that tree, i been told by few ppl that its a male tree and i should cut it down. But I recently got in contact with famous tv gardener that not to cut the tree at all and just add dolomite to it. It will fruit like u wouldnt believe and enjoy ur olives he said. Is this true? should i wait another year or two see or just cut it down? There’s no such thing as a male olive tree – olive trees have male and female flowers. It’s also too simplistic to say that dolomite lime will make the tree fruit, as it depends on whether calcium and magnesium deficiency is the reason the tree isn’t fruiting. But yes, it doesn’t hurt to try dolomite. The surer solution is to test your soil and fertilize based on that soil test, and also to improve the soil biology. Hi guys how do you get rid of horsetail weeds what is best way get rid of them for good ? Horsetail is very tricky to get rid of. The cool thing is that it’s actually a highly prized plant in the biodynamic world, good for making an organic fungicide, among other things – you could put some in the teas you’ve been making. It tends to favor wet and poorly draining, low fertility soils, so if you can boost fertility and not overwater, that will help. But the plant shouldn’t have a negative impact on your garden anyway. I wouldn’t go the herbicide route, and roundup doesn’t work well against horsetail anyway, but you could try horticultural vinegar to keep it under control. Sorry Greg, I’m not sure what’s available there. Thank you show much!! I was doing a science fair project on Ph of soils and added lime to some of my soil. This was probably why it wasn’t growing!!!! Thank You!!!! I also added Aluminum Sulfate to my soil and nothing grew in that either. Do you know why this is? I actually don’t use it in my garden, I use on my compost heap, because it breaks down the organic material at a accelerated rate. In the south with the warmth and humidity in Houston, I can produce nutrient rich compost in less than a month with a open compost pile. very well said my friend and excellent mathematical analysis. the product sold by home depot is dolomitic and is as you said, by and large useless except for maybe extreme mag deficiency in a loose dry soil that requires compaction or lessening of drainage. will experiment with this as the only recommended use. I want to create an area for lime-loving plants (an alvar). Is calcific lime the additive I need? Yes, probably, but note that you’re really working against nature if you’re creating a man-made alvar where it wouldn’t otherwise exist, and it may need annual applications of lime forever in order to keep it calcium-rich. Personally, I’d much rather work with the soil type I have, although I do understand the desire to recreate environments that are special to us. I spread some dolomite lime around my standard roses in early summer, as I understood roses needed lime. Could this be why by late summer on many of these previously healthy roses the leaves have turned yellow and why new growth is discoloured – a pinkish yellow and wrinkled? I have light soil but enriched with home-make compost. I would be surprised if the lime was the culprit, Robyn. More likely something else. Thank you for this informative article. There is a point you make that could benefit from clarification. The process by which fertilization acidifies soil is that the oxidation of ammonia-equivalents to nitrate yields a net proton. You write about synthetic fertilizers acidifying soil and later recommend “blood meal/kelp/fish meal/non-gmo alfalfa meal/manure.” This is deceptive because nitrogen in these materials also requires oxidation. So, for an equivalent amount of nitrogen fertilization, will be equally acidifying compared to any ammonia or urea based synthetic fertilizer. Nitrate fertilizers like calcium nitrate are not acidifying, but have a greater risk of fertilizer burn. Personally I find using or recommending fertilizers that derive from the slaughter of animals, or from stripping animals and materials from natural ecosystems, morally reprehensible. And frankly doing so when there are synthetic fertilizers that do not carry that burden of death, suffering, and habitat destruction seems mean-spirited. I realize this is personal opinion and that well intentioned people can view the situation with different priorities. However, the fact that proteins and ammonia acidify soil in the same way and to the same degree is not subject to debate. Thanks for your comment, Chris. I agree with all of your points. Thanks for taking the time to share. I’m new to gardening and unfortunately have a new house with the front flower beds infested with horsetail. From what I’ve read it’s pretty much the cockroach of the weed world. I read an article to use dolomite lime to change the PH to get rid of them. I don’t know what my soils PH is at now….. I don’t want to hurt any of the existing plants, Should I use lime? I answered another question about horsetail in the comments above. As I mention in the article, don’t worry so much about pH. Instead, balance overall fertility and then the pH will follow. Doing that may help a little with the horsetail, but it’s very hard to get rid of. When I first put a lawn down from seed, it was on hard, rocky, clay soil. I had brown patches in the lawn everywhere. I sprinkled dolomite lime on the patches and they almost immediately went away. I have never had to use it since and sprinkle seed out every year and have a lush green beautiful lawn. Thanks for sharing, Tiffany. The calcium and magnesium must have been needed! Possibly, they were neutralizing something acidic, like animal urine. In our storm last night. The dolomite fell over some going into our dogs waterbowl. This morning before the bowl was cleaned out the doģgy had a drink of this water. Now he has just vomited x 2 1 xyellowy colored sputem then a very bubbly yellos vonit. Do you think this Dolomite was poisonous and caused him to be sick. He is now sitting very quietly close to me. Poor little bloke. Sorry for your troubles. I wouldn’t have thought it would be a big problem, but you’ll want to ask a vet to be sure. Hi, I have planted an English box hedge in compost soil and added a little blood and bone to the soil a few months ago. I have been watering it once a week over this winter. The outer leaves are slightly brown/ yellow but the inner leaves look good. I was wondering if I added dolomite lime would it fix the problem and also as we are coming into spring soon should I fertilise also? I don’t want to overdo anything as my husband always says I kill plants with kindness. It depends on the nutrient deficiency, but if you haven’t been able to pinpoint it, I might be more inclined to use a couple of broad-spectrum organic fertilizers like glacial or volcanic rock dust and/or alfalfa meal. Good compost could be very helpful as well. It is hard to add so much lime that it causes problems. Yes, the ratios are wrong, but nutrient content is probably the least of the reasons that people use lime. Lime contains only a couple of nutrients, but the addition of those nutrients does more than just supply calcium and magnesium for the plant to take up. Those nutrients being available helps make other nutrients more available as well., but for the most part people use lime to help stabilize PH. If you have a PH problem then you are in worse shape than a slight nutrient imbalance. None of this means we shouldn’t be using lime in our gardens. I will agree that lime is over used, but its not evil. If you constantly have a PH problem and all you do is mix in some lime, then yea, you’re doing it wrong. But if you keep some lime on hand for occasional use, there is absolutely nothing wrong with that. Do you know you’re low on magnesium and calcium and nitrogen? Why do you recommend cal mag when the ratio of cal to mag is nearly 1 to 1 ? Sorry Joe, I’m not sure I understand your question. Hi Ginny, ideally, you’d send a sample of soil from the earthboxes to a good organically-minded soil lab who will be able to tell you which specific nutrients you need more of, so that’s what I’d suggest first, but I know some people prefer to keep things simple, so if that’s the case, you may want to simply try some different soil the text time you need a top up (hopefully with some good compost in it) – just be sure to mix it in well with the existing soil rather than just leaving it on top. As for products, a little bit of calcium carbonate will probably be more appropriate than the dolomite. Other things that may be very helpful are a microbial inoculant and a broad-spectrum fertilizer such as ocean water or liquid seaweed. And in the end, the main thing comes back to good soil, good organic matter (compost and mulch) and proper watering. I know this is a gardening site… but I stumbled upon it as I am researching how to control dog urine odors on an outdoor concrete dog run. I have heard Garden Lime (aka dolomite, calcium carbonate) would be great for this. Do you have any knowledge about this, and if so, how to use it on concrete? It could work, Monique. I would just worry that all of that lime would gradually wash over onto the soil, causing an excess there. And it could be a bit cumbersome to apply if there is urine all over the place. Instead, I would actually try some Bio Ag ( https://www.smilinggardener.com/sale/effective-microorganisms-and-scd-probiotics/ ), which is a probiotic that’s very good at controlling odors. You can mix it in water (or use a hose-end sprayer) to spray it over the whole area. Thanks for the tip… I will add it to my list of things to try. Sorry Leonard, I’m not aware of where to buy dolomite in Thailand. Mike jawson from madison Wisconsin march 27 2018. Phil i need help. I have three little dogs. There is a large part of my yard that is yellowing from my dogs. I work hard to keep my yard very nice . I was told to try dolomite on the part of the yard that is yellow. One is this good or not? And if it is when should I put it down? March, April? It depends on whether your soil needs magnesium or not. As I mentioned above, I’d rather see you use calcitic lime (aka calcium carbonate or ag lime). You can apply it any time. Phil, this year I’m trying the Patio Pickers box for space reason. I’m filling it with MiracleGro Nature’s Care organic and natural with water preserving potting mix. Instructions tell me I should use Dolomite garden lime. Should I? Depends how much magnesium is in the potting mix. I’d tend to recommend calcium carbonate, aka ag lime instead. I looked on the bag, but didn’t find anything about magnesium or calcium. So I’ll be safe with the ag lime? Thank you for your advice. Very much appreciated. Yes, I’d do about 2% of the mix as ag lime, so a heaping quarter cup per gallon of potting mix. It’s extremely difficult to remove horsetail, so I’ll be incredibly surprised if the lime makes a difference, and I would say it’s unlikely you can “spot treat” the horsetail without impacting the root zone of the mature plants, but you could try it on a small area to see if anything good comes of it. In my view, getting rid of horsetail would actually be worth having too much magnesium in the soil, but again, I doubt it will make a difference. Is it a good idea to use dolomite lime at all? Cause it sounds like everyone has problems. Or will i be at risk of wasting my time pulling out more weeds than crops? I never had the soil patch tested.its sandy soil. You can definitely still plant the patch. It’s not that big of an issue – just not ideal for soils that already have too much magnesium. I think the problem most gardners and farmers have…… is not rotating their crops enough and not regenerating their soil thru resting it with grasses for a year or two. Year after year in the same field or patch even with a different crop the land will soon get tired even though a soil test may look fine. Hence, that is why crop farmers these days can get by year after by using chemicals to prop up their crops. Dolomitic lime and clacium carbonate are great when used with calsium sulphate, here in brasil we used to eliminate Al but we saw that besides giving a better ratio of calcium and Mg it also can take Ca to lower levels since de dolomitic lime and CaCO3 do not move easely in the soil.Obs:if you use CaSO4 with potasim fertilizers insted of CaCo3 you can move some K to lowers levels of the soil.